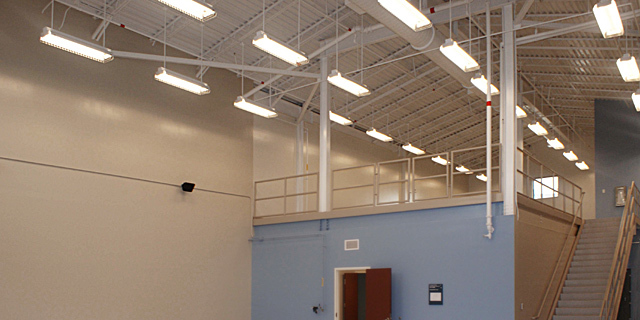 Provide durable low-maintenance ceiling materials for a long facility life span with flexibility for two or more uses during that time. 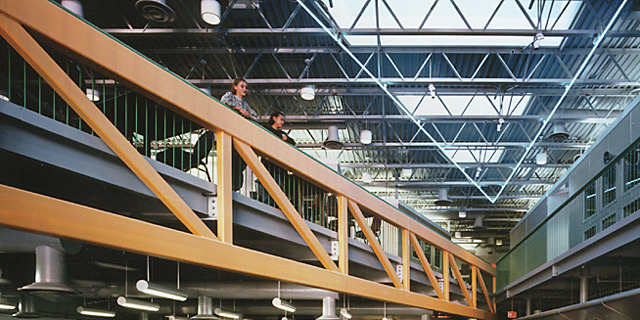 Structural roof and floor decks and other components may be exposed when cost effective to eliminate or minimize secondary suspended ceilings. Promote passive heating and cooling, natural ventilation and daylighting to the maximum extent possible. 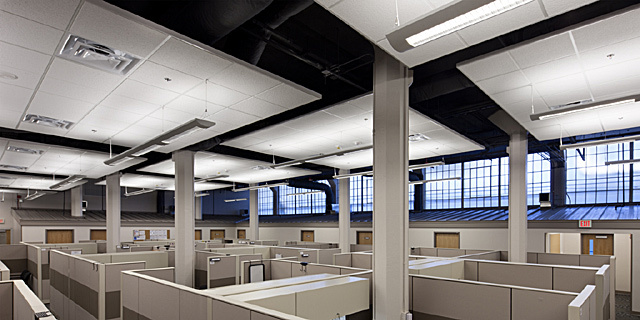 Provide daylighting for occupied interiors whenever possible. Create a cost-effective layered system of ambient light, task light and accent light. 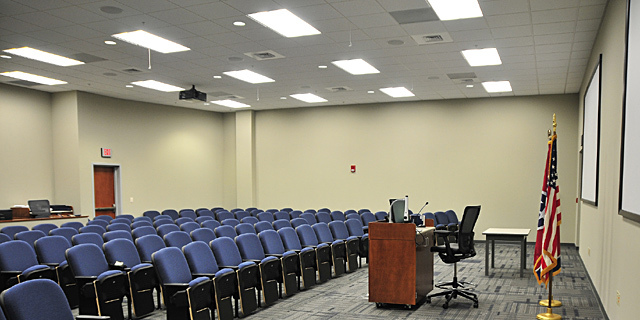 A single overhead illumination system (with equal lighting throughout open plans) is discouraged. 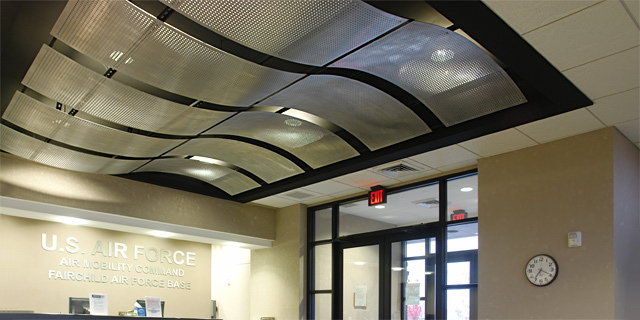 All individual elements placed on ceilings or suspended from ceilings shall be fully coordinated and have an ordered appearance. 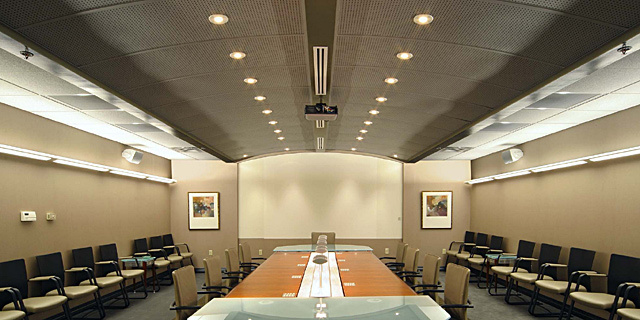 Ceiling types, layouts and materials should be cohesive and consistent throughout a facility. Limit the transmittance of sound through building components and the reflectance of sound within interior spaces following UFC 3-450-01. Comply with Unified Facilities Criteria for Sound Transmission Loss (TL), Noise Reduction (NR) and Sound Transmission Class (STC) ratings. 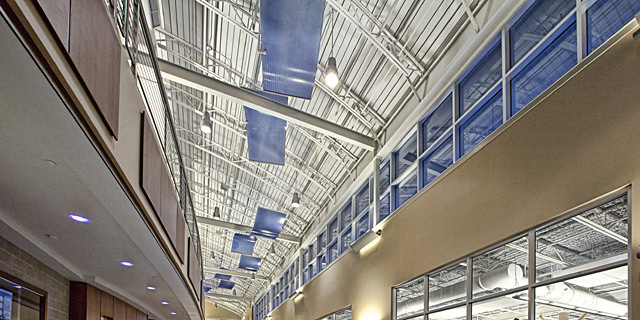 Determine whether passive design strategies such as thermal mass ceilings are cost-effectively incorporated before active mechanical systems are designed per UFC 1-200-02. 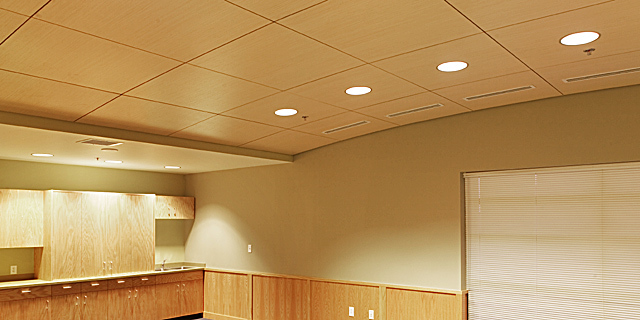 Integrate ceilings with passive and thermal mass systems when feasible. 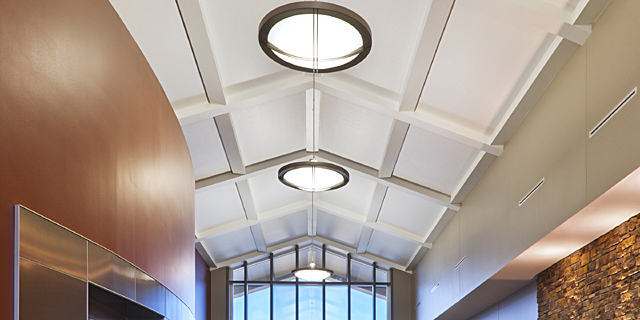 Use construction materials and finishes to enhance indoor environmental quality and promote daylighting. Consider environmentally preferable products, products with recycled content, and low-emitting and biologically-based products for ceilings.